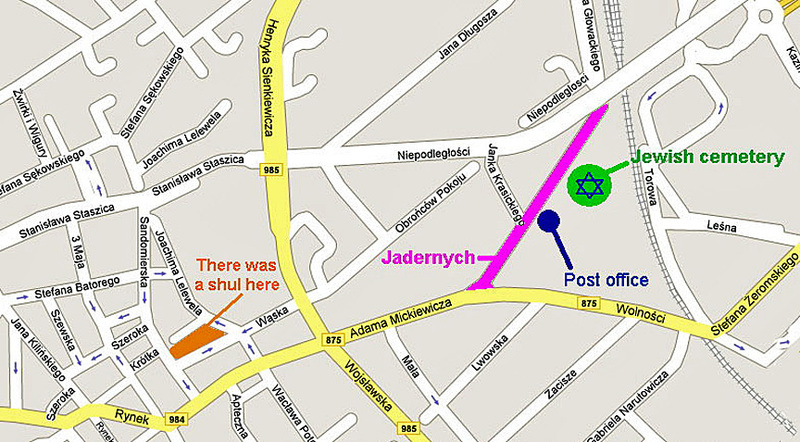 The map show the exact location of the Old Mielec Jewish Cemetery. 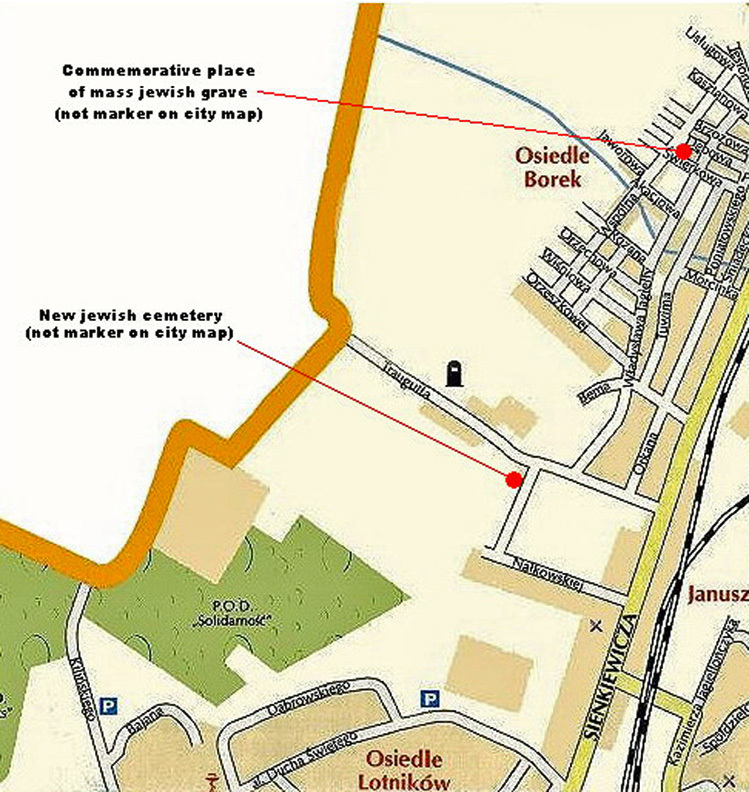 to see that originally the cemetery was much larger. The memorial, on the crossroads of Wierkowa Street and Wspólna Street, marks the mass grave of Mielec Jews killed during the German occupation.